This elegant striped tie is part of Puccini's classic striped tie collection. 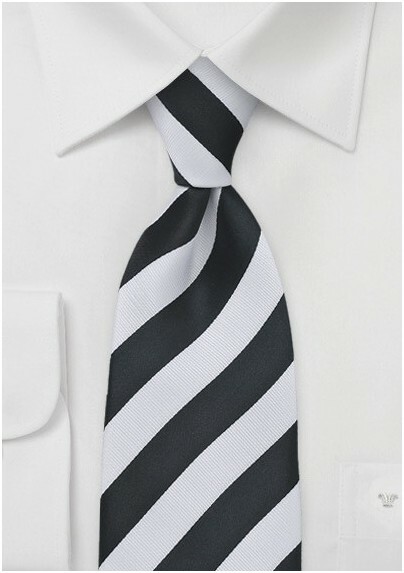 The The solid black background on this tie is combined with a finely ribbed white striped design. 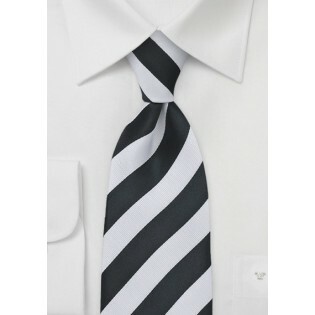 This tie looks excellent on top of white or black dress shirt. We at Mens-ties.com like this tie the most when combined with solid charcoal suit, white dress shirt made from finest pique cotton, and a solid white handkerchief. Made from care-free microfiber.